Why not get Potty for halloween? Its super easy! Take a pumpkin and draw with a pen some eyes. (Don't cut them out yet) Then draw his hair and the scar. Then take some yellow fabric and cut the ends so it looks like a scarf.Cut out red strips and past them on the yellow fabric. 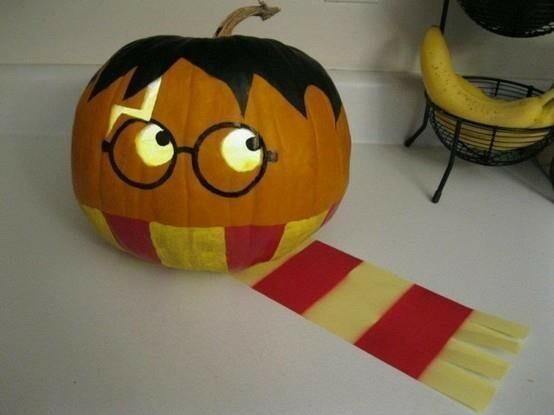 Take the scarf and put it under the pumpkin and You have your Harry Potter Pumpkin!